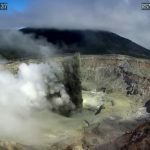 le chaudron de vulcain – February 09 , 2019. EN. Italy / Sicily : Etna , Vanuatu : Ambrym , Chile : Villarica , Costa Rica : Poas / Turrialba / Rincon de la Vieja . Home / Ambrym / February 09 , 2019. EN. 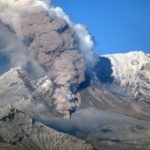 Italy / Sicily : Etna , Vanuatu : Ambrym , Chile : Villarica , Costa Rica : Poas / Turrialba / Rincon de la Vieja . 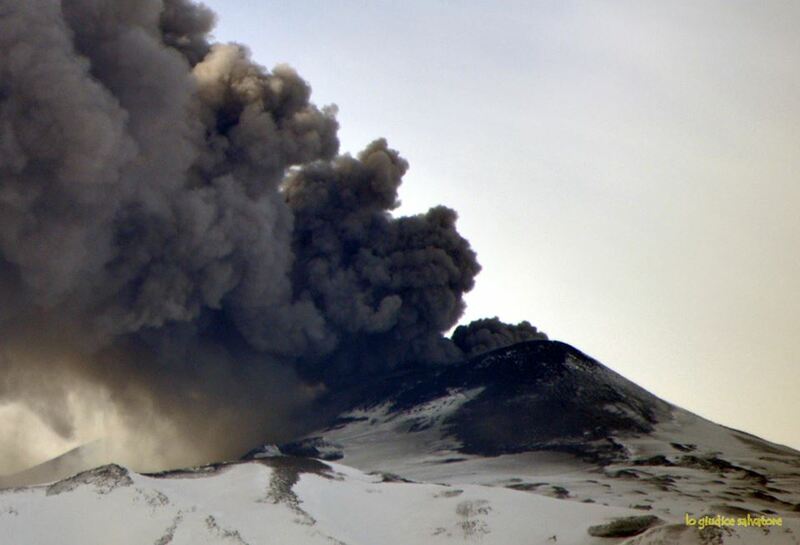 The ash emissions from the craters of the summit of Mount Etna continue alternately with energy. This morning, the Northeast crater emits a dense column of ash that extends to the south-east and south sides of the volcano, thanks to the wind blowing from the north. 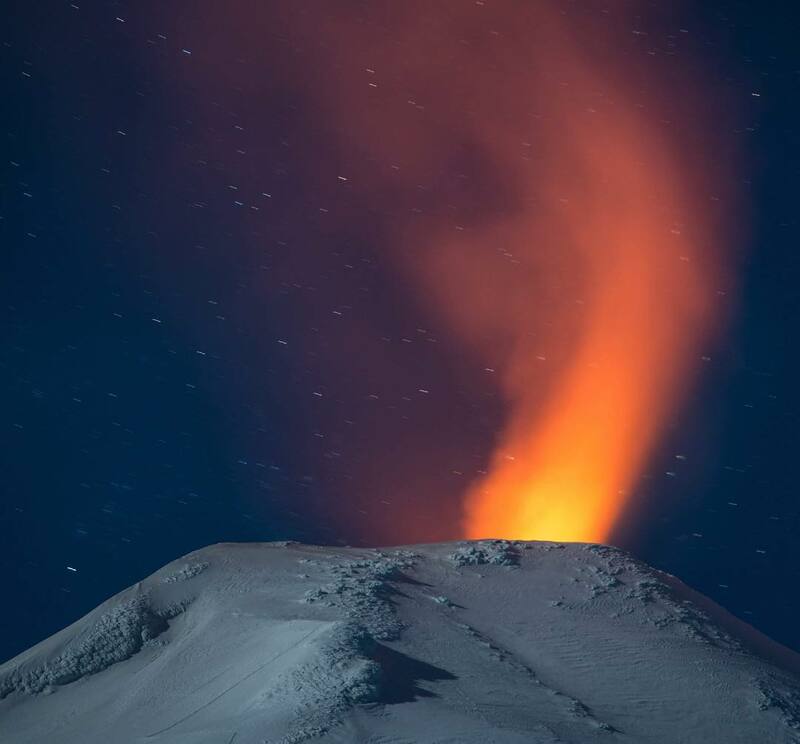 For this reason, the Ingv operating room, Osservatorio Etneo, of Catania has just issued a statement from Vona (Aviation Volcano Observing Notice) which issued a bulletin raising the color code to « red » « . At the moment, Sac does not communicate with the airport of Catania nor with the airspace, which remain open. ▪ The Vanuatu Meteorology Department (VMGD) has the Ambrym Volcano at Alert Level 3 which is the minor eruption stage. 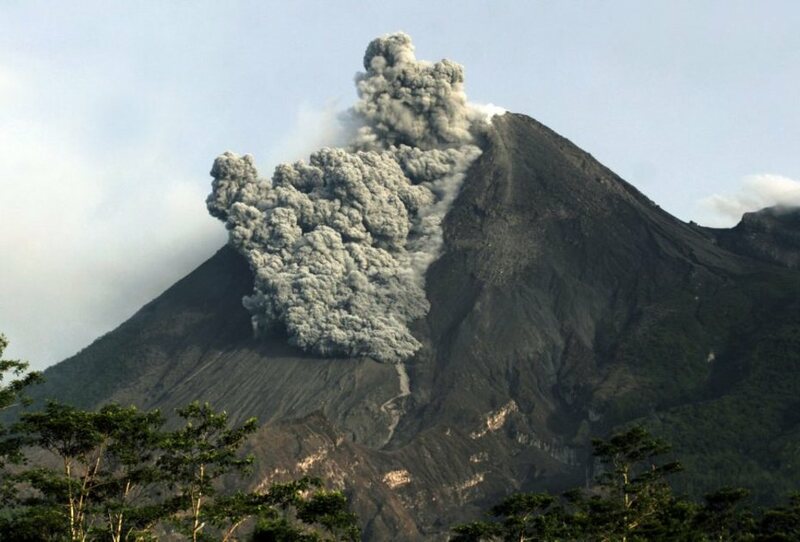 The possibility that the Ambrym Volcano activity will escalate to Level 4 is low for now. 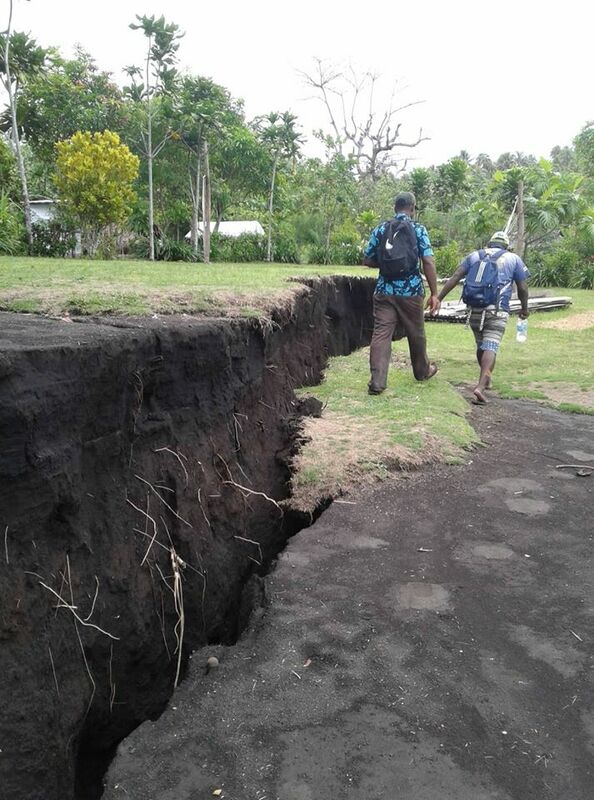 ▪ According to on-ground observations, heat is coming out of current cracks (fault lines) in Paamal Village (eastern side of Ambrym) and fresh pumice is seen on seashores. ▪ The National Disaster Management Office (NDMO) in conjunction with the Malampa Provincial Emergency Operation Centre (MEOC) is coordinating humanitarian response activities in South Eastern part of Ambrym. ▪ Relocation of Paamal and Asse Village has been completed. Ulei and Sameou Village refuse to relocate. WASH team has improved water systems in host sites to gather for evacuated communities. Preparations are underway to send human resource and building material for construction of sanitation facilities in the host communities. A total of 2529 seismic events have been recorded, of which 2493 have been classified as long-period type (LP) earthquakes, in relation to fluid dynamics within the volcano, with reduced maximum displacement values of 14.7 cm2. In addition, 36 volcano-tectonic (VT) seismic events associated with rock fracturing were recorded. The event with the greatest energy had a local magnitude of M 2.8, and was located 8.4 km east-southeast of the active crater and 4.7 km deep. The volcanic tremor signal, a seismic signal also associated with the dynamics of fluids within the volcano during the period considered, has been maintained with reduced displacement values of up to 4 cm2. On the other hand, the dominant frequencies are maintained between 1.1 and 2.0 Hz. 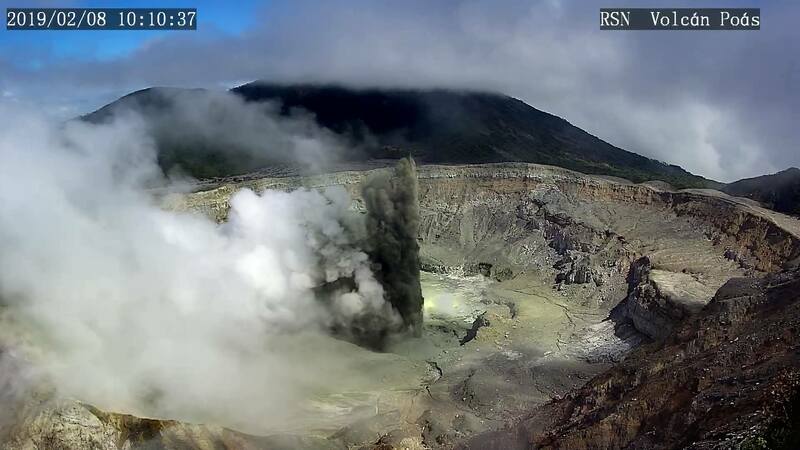 The images recorded with the IP cameras installed near the volcano, when the weather conditions allowed it, showed degassing of predominantly whitish color; this one did not exceed 400 m of height. In addition, a night glow is recorded, when the weather conditions allowed to observe it. The infrasound sensor recorded an explosion associated with the surface activity of the lava lake housed in the main crater, with pressures equal to 2 Pascals reduced (value considered low). According to the data provided by 4 GNSS stations and two (2) electronic inclinometers, it is observed that certain variations exist both in the displacement of the stations and in the lengths of the control lines which cross the active crater, however, these variations have a seasonal character . There is a slight increase in the vertical component, with a maximum not exceeding 0.5 cm / month compared to the previous period. According to the data provided by the differential absorption optical spectrometry equipment (DOAS), Los Nevados and Tralco stations, located 10 km east-north-east and 6 km east-southeast of the crater On the active side, sulfur dioxide emission values ​​of 567 +/- 66 t / d were recorded, with a maximum value of 1062 t / d reported on 06 January. 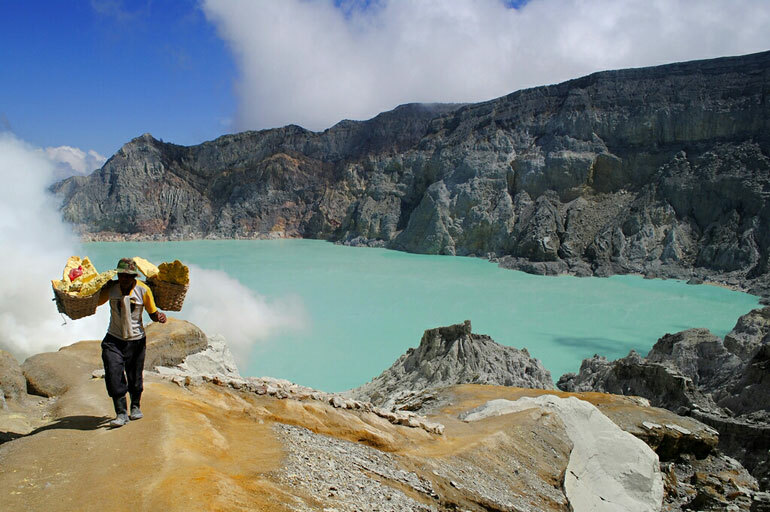 These values ​​are considered low for this volcano. 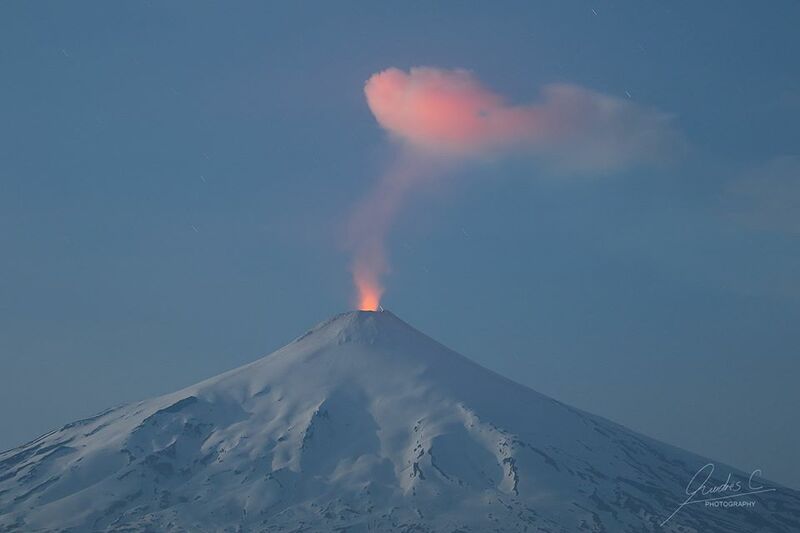 During the period 10 thermal warnings were reported on the volcano, with a maximum observed volcanic radiative power (VRP) of 1.4 MW as of January 06, which is considered moderate, according to the data processed by Observation of volcanic activity (Mirova) (http://www.mirovaweb.it/). The monitoring parameters indicate a steady state of the system. 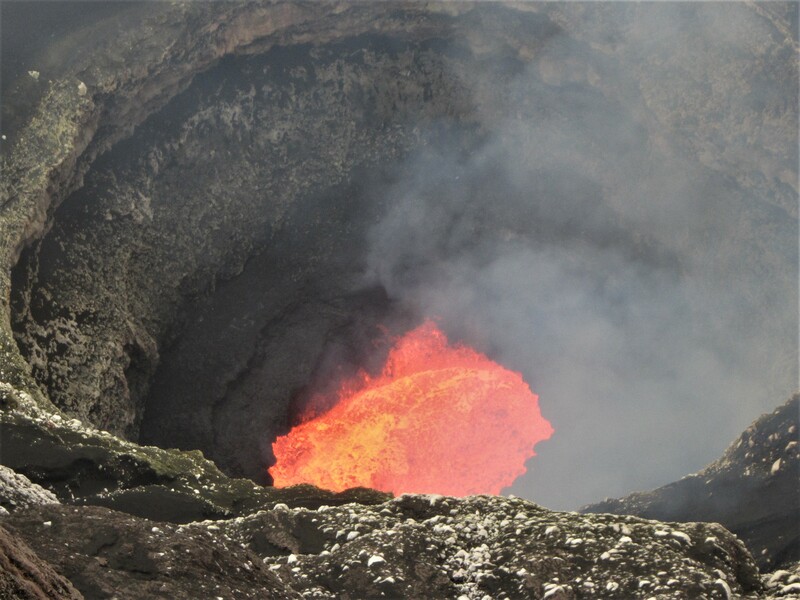 It is noted that the dynamics of the lava lake located in the main crater of the volcano is fluctuating and that it continues to be located near the surface, therefore, the occurrence of minor explosions affecting the environment of the crater is not excluded. 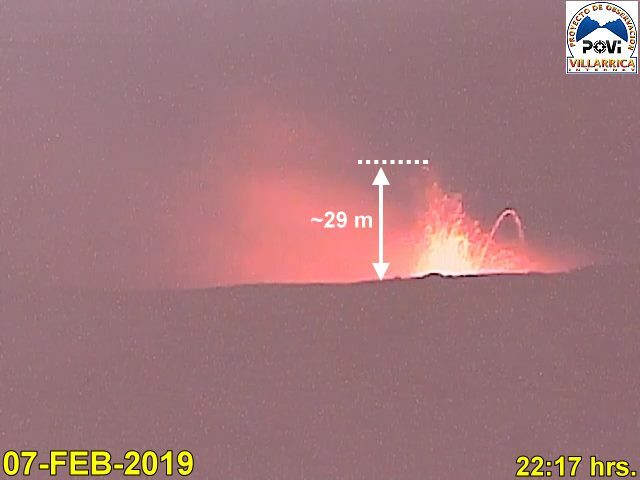 February 7: New strombolian explosion captured by POVI cameras that reached a height of about 29 meters on the crater’s edges. February 8 at 4:57, incandescent ballistic impact on the upper north-west flank. Events with similar characteristics were recorded on January 3 and 24. Daily report on the state of volcanoes. Date: 08 February 2019-, Updated at: 10:05:00 AM. 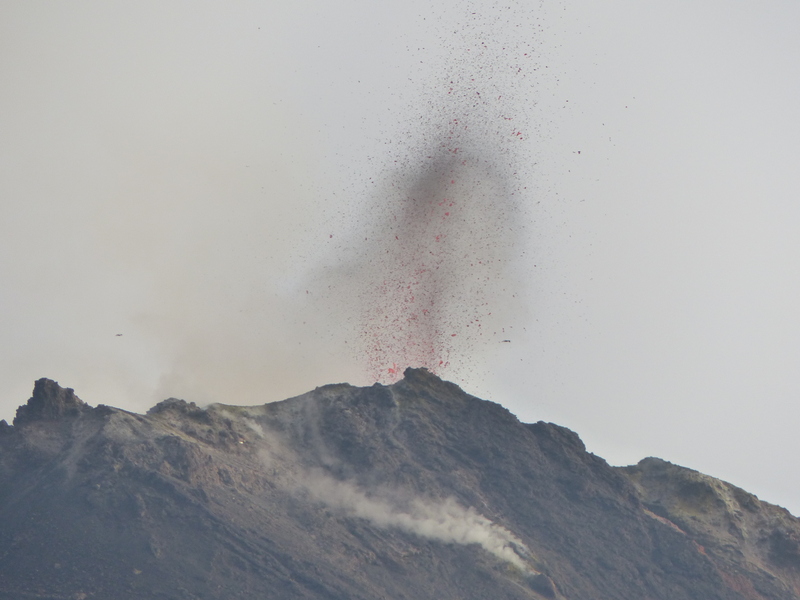 Several eruptions were observed from the main mouth A and reached a height between several tens of meters and 200 meters. Seismic and infrasonic recordings show regular eruptive impulses since yesterday. The GPS equipment shows an uprising of the volcanic building. The Multigas station measures a definite trend towards increasing the H2S / SO2 ratio. A smell of sulfur is reported in San Jose de Naranjo and Grecia. 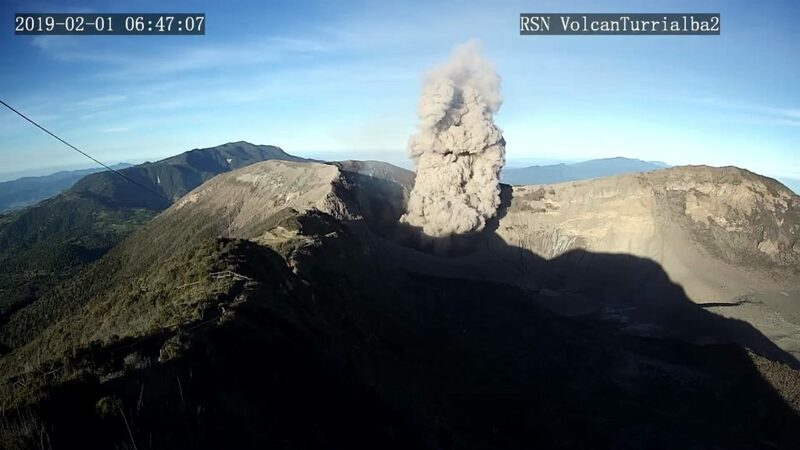 On 8 February 2019 at 05:40 local time, there is an eruption on the Turrialba volcano, with a column rising 200 meters above crater height and 3,540 meters above sea level. (11611.2 ft). Duration of the activity:> 60 minutes. Sporadic ash emissions are observed, the largest of which began at 5:40 am for more than one hour. Emissions can affect areas such as Coronado, Granadilla, Lechería San Gerardo, Irazú Volcano National Park, Braulio Carrillo National Park, among other places nearby.